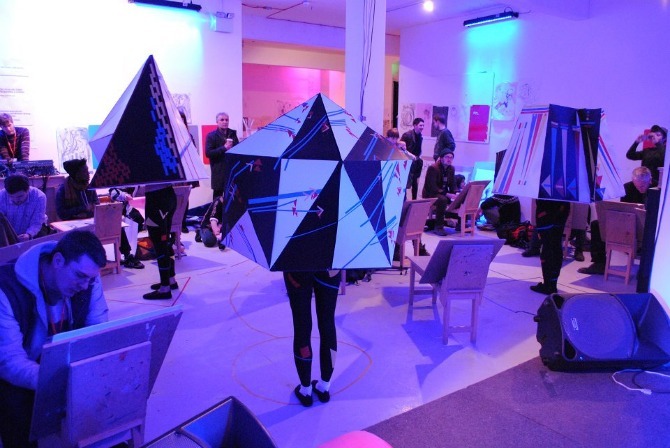 While I was co-director of The Royal Standard we collaborated with the The Drawing Paper to put on two experimental drawing events called Drawing Sessions in which artists and members of public were encouraged to experiment with drawing along with screenings, performance and live music. Both were 12 hours long. The first took place at the royal standard, the second during Liverpool Biennial of 2012 as part of the public programme.